I like how my Goodreads Challenge is telling me I’m on track for once, but I’m so behind with my reviews, that I don’t feel like I am! Today I’m reviewing the books I read in January – woops! Some of them are only just being published around now though, so it’s justified, I’ve decided ;D Enjoy! Plot: In a world where you can find your perfect partner via a simple DNA swab test, would you do it? The One follows the stories of 5 people who decide to take the test, finding their soulmate, but are things really as simple as they seem? And what if that person is hiding a secret, one that’s dark and dangerous? My thoughts: I received an early release copy of this book and it arrived in the post with a little DNA swab kit – brilliant marketing campaign to start with! The book itself definitely stood on its own two feet for me though in its plot. The 5 people whose stories it follows are so very different (I usually find it difficult to keep track when there are multiple main characters, but I found this one fine!) and intriguing that I found myself gripped because of the way the chapters cycled between them – I wanted to know more of each person’s story so I found it hard to put down as you were so often left on cliffhangers. Each character goes through some sort of twisted plot line – discoveries that I didn’t even imagine when I picked it up came to the forefront and a couple of the storylines really left me guessing till the end. 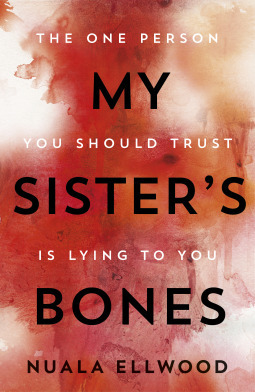 It’s part psychological thriller, part romance, part mystery – basically, a lot of things I love all in one book. Definite recommendation! Plot: Kate is a journalist who has just returned from war-torn Syria to her hometown as her mother has died. From the get-go, we know that she is haunted by her traumatic experiences reporting on aspects of war, and it turns out that she’s the “lucky one” who escaped her father’s beatings – her sister Sally wasn’t so lucky and still lives in their hometown, an alcoholic supported by her husband. When Kate’s woken by a scream in the garden of her mother’s house, both she and the reader believe it’s in her mind, but over time she becomes convinced that something really is going on in the house next door and she’s the only person who can prove it. 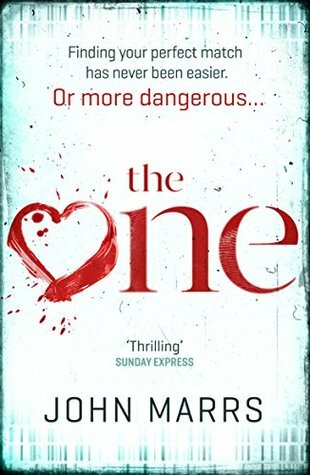 My thoughts: This book is a difficult one for me to review because I enjoyed it, but I struggled with reading it – it was just one of those books that unfortunately I got “stuck” on, despite the interesting storyline and the promise of something darker lurking beneath. I think it was just that little bit too slow moving for me, so instead of creating tension, I was trying to rush ahead to find out what was going to happen. It’s told in a few alternating timelines – with Kate being questioned by a therapist who it is quite clear she doesn’t want to answer; with the main storyline of what happened in her hometown; and flashbacks into the past of what happened in Syria. The information that we need is released slowly in the right places to keep you gripped, but like I said, I think the slow unravelling of the mystery is what meant I felt it dragged a little. I did definitely enjoy the story though, and maybe I would have liked it that bit more if I was reading it at a time when I had more patience for a slow burner one. I read A LOT of cook books – Ben has an obsession, we have over 150 at last count about a year ago! But I don’t normally list them on Goodreads or on the blog because I don’t usually read them cover to cover, just picking out recipes I like normally. We’re on a health kick for the New Year (so stereotypical, I know!) and have recently got all the Lean in 15 books and loved them. 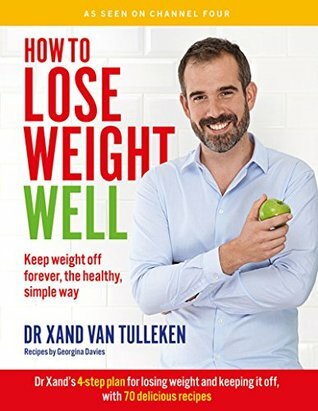 And we’ve watched the programme of the same name of this book and enjoyed it – lots of interesting recipes, crazy but interesting diets, and a few tips on how to live healthily. So we decided to get the book. To be honest, I’m not exactly reading this to lose weight but to live a healthier lifestyle in general. I’m trying to get into good habits of eating well and exercising well. I find the theory behind nutrition all very interesting though, so I found this book really appealed to that without going into TOO much depth, but still giving a really good overview. But what I liked best about this book is that it’s not written like a book. The pages are more like blog posts where you get short and snappy pieces of info. The writing style is approachable and funny – I laughed out loud, I read pieces of it out to Ben because I thought they were so brilliant (especially a line about how the only creatures that look as good in real life as they do on the internet are cats!). And most of all, it isn’t a “diet book”. It’s a way to change your lifestyle for lazy people – as Xand frequently mentions, his perfect weekend involves lots of sitting around and eating, and the fact that he manages to do this gives you hope. The recipes themselves are also awesome – we’ve done a few recently and I’ve enjoyed all of them! Plot: The blurb describes it well! 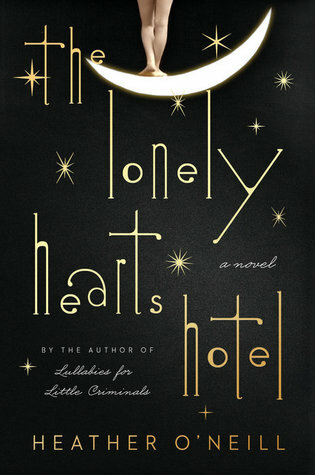 The Lonely Hearts Hotel is a love story with the power of legend. An unparalleled tale of charismatic pianos, invisible dance partners, radicalized chorus girls, drug-addicted musicians, brooding clowns, and an underworld whose economy hinges on the price of a kiss. In a landscape like this, it takes great creative gifts to thwart one’s origins. It might also take true love. It’s a story of two children who grow up in a cold-hearted Montreal orphanage with unusual talents to sing, dance and entertain. They fall in love but don’t quite understand it, but then are parted. The book follows their lives, as servants, falling from rock bottom to another, and back up again as they meet again, then falling apart. My thoughts: This is the kind of book that I put down and sigh because I kind of wish I’d written it. There were parts that were a little bit too much for me, as many other reviewers have said, there is some quite explicit content, but the overall experience of the book was fantastic. It felt magical in an ordinary sort of way, if that makes any sort of sense. It was magic, but underneath it was always tainted – like the world so often is. I loved the writing style of the book too – it’s again difficult to describe without reading it. Everything feels like an offhand comment that has no importance at all, but is also the most important thing in the world – every word has been chosen carefully. People say it has echoes of The Night Circus, and I agree to that in a way, but it’s also very different to it too. I think this is one of those books that you’re either going to love or hate. I loved it and would recommend it to pretty much anyone, but I can’t guarantee that you’ll feel the same – it’s one you just need to read to know and to understand it. Next Post I’m doing a yoga retreat!